The latest in dividing curtain technology. Elegant curtains without any dangerous and high maintenance cables for sleek and streamlined appearance and additional safety. 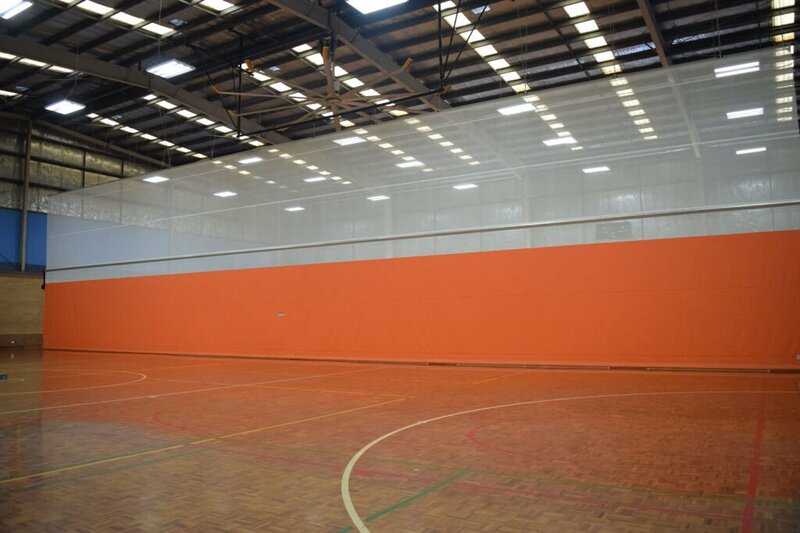 Available in a range of colours, these systems use a vinyl coated mesh instead of netting for additional durabiliyt and strenght, and are treated for mould and fire resistance. Being a roll up system as opposed to a fold up design, the store compactly and cleanly when not in use, and deploy smoothly in seconds.